The City of Hialeah’s vision for Transit Oriented Development (TOD) in South Florida has been selected for an American Planning Association (APA) of Florida Award of Merit in the Neighborhood Planning category. 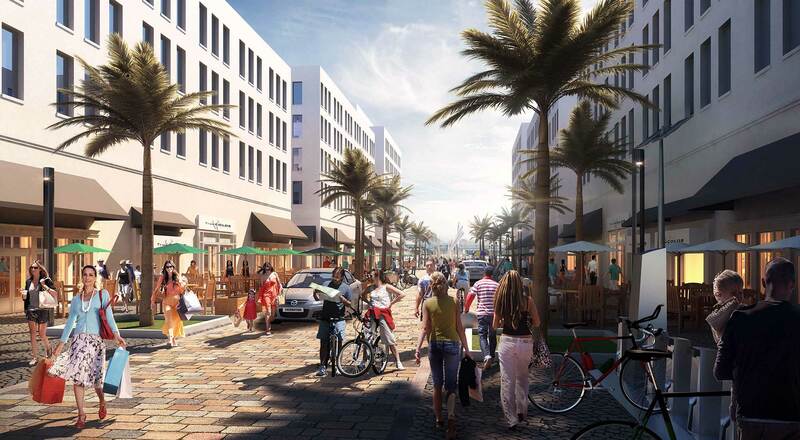 The prestigious statewide honor recognizes the studio’s collaboration with the City of Hialeah’s Planning Department to create more than 300 acres of compact, walkable, mixed-use development connected to a pair of commuter rail stations. The plan, unanimously approved by the City Council and fully implemented, crafted guidelines that transition two warehouse districts into vibrant communities. The 24-hour communities create civic space, jobs and affordable/attainable housing for young professionals, empty nesters and families. Developers are already entitling land within the new guidelines. The TOD is anchored by Tri-Rail’s Market Station and Transfer Station, which also connects with Metrorail and Amtrak – enabling commuting to regional employment hubs. These new districts will increase city tax base while featuring some of the best rail connectivity in all of South Florida. The award will be presented during APA’s statewide conference in September, in Daytona Beach – where PlusUrbia’s Juan Mullerat and Megan McLaughlin will be key presenters on healthy urban design and revitalization. For more information on the project, please visit HIALEAH TOD.